If you will be driving to Mexico on a visit, there will come a time when you will need to fill your tank. Luckily, buying petrol across the border is pretty straightforward. 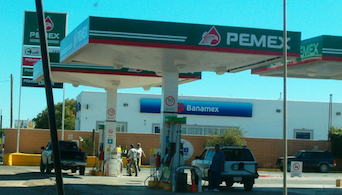 In Mexico, petrol is state-owned, so Pemex stations are strewn all over the country. Don’t forget to pick up Mexican insurance online before taking off! The good news is, if you do forget, you can buy car insurance for Mexico on the road using a smartphone or another device with Wi-Fi. Want to learn more about researching Mexican insurance online? Visit MexInsuranceStore.com to learn more. What’s it like buying gas in Mexico? Since Pemex stations are a full service, you will not have to pump your own gas. These gas stations sell Premium (high octane unleaded), Magna (regular unleaded), and diesel. All you need to do is to tell the attendant the type and the quantity you want. In Mexico, gasoline is measured in liters and not gallons. To help you calculate how much you are paying for gas, keep in mind that one gallon is equivalent to 3.785 liters. 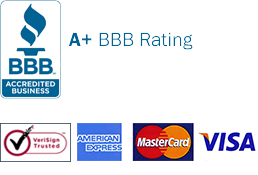 Payment is usually in cash although certain gas stations do accept credit cards and debit cards. You may be required to alight from your car in order to go to the machine to type in your PIN number. You will be informed if that is the case. To avoid paying for more gas than you actually receive, always ensure that the counter on the pump is at 0.00 before the gas station attendant begins to pump your gas. Some attendants may unwittingly or deliberately neglect to reset the counter before they start pumping. But it is something that happens rarely. Pro Tip: Mexican insurance online is needed to drive on the toll highways! Get Mexican insurance online before you start your journey! One of the most important things you need to have on a Mexican road trip is car insurance for Mexico. According to Mexican law, every non-Mexican driver must be able to display proof of liability for any physical as well as bodily injuries resulting from an accident. Obviously, you don’t want to spend your Mexican vacation in jail just because you didn’t get Mexican insurance online. Buy car insurance for Mexico and avoid a potential financial catastrophe. Mexican insurance online from MexInsuranceStore.com gives you peace of mind! I’ve always wanted to be in Mexico this summertime. I’ve been hearing lots of beautiful places to enjoy and stay. Early booking really matters. When reaching some of the remote places, it could be possible that services of your mobile phone are not accessible. This is possible because you’re outside the crowded locations. Knowing what to take and what not to take makes a perfect plan for vacation. Just consider the advice of your Mexico insurance provider for this.